PACK EXPO 2016 is only 9 days away! Dorner will be exhibiting in Booth #N-5945. For our last Booth Preview, we’re showing you our brand new packaging loop. See parts one, two and three. The loop includes two SmartFlexconveyors outfitted with FlexMove Technology, a 2200 Series nose-over squeeze, a 3200 Series bottomless squeezing conveyor; and two 3200 Series conveyors with Activated Roller Belt (ARB) Technology, which is a patent-protected technology of Intralox. 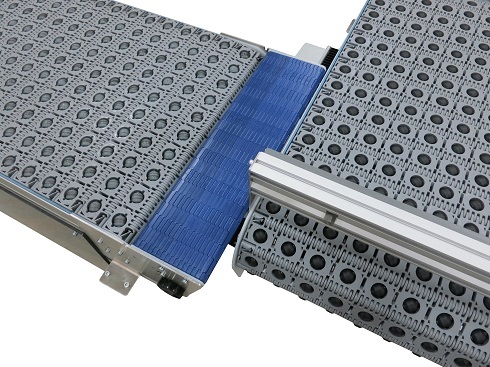 The SmartFlex Twist uses two SmartFlex Conveyors to turn a product 90°. See a case handling application where we used a SmartFlex Twist here.